We’ve posted three raid guides for Warriors. All are updated for the 5.4 patch. 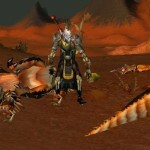 These guides are in addition to the older Warrior guides on this site. You can see a complete list here, Warrior guides, along with the 5.4 patch notes appropriate for Warriors and a Video on Warriors under the Mists of Pandaria talent system.